Brockhampton Manor and Gatehouse, Herefordshire, England. 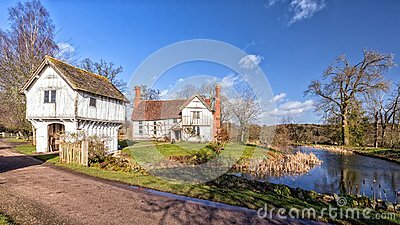 The moated medieval Brockhampton Manor and Gatehouse near Bromyard in Herefordshire on a sunny winters day. The house was built c1425 by the Dumbleton family and the gatehouse later, c1545-50.